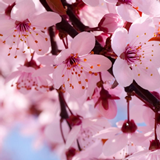 As cherry trees spring into blossom all over the country this month, one Liberty Slots player has had an incredible winning streak on the Crazy Cherry slot from WGS. When Anja T of Pennsylvania was up about $8500 playing the three-reel slot on her iPad, she decided to increase her bets to $9 per spin. Then, just after midnight, she hit the jackpot! Crazy Cherry symbols appeared on all three reels across the center pay-line and she won 5000X her bet -- $45,000! To celebrate Anja's win, Liberty Slots is giving 20 free spins on another one of their three-reel games, the Cash Grab slot. Casino gives 20 free spins on Cash Grab, another three reel slot.